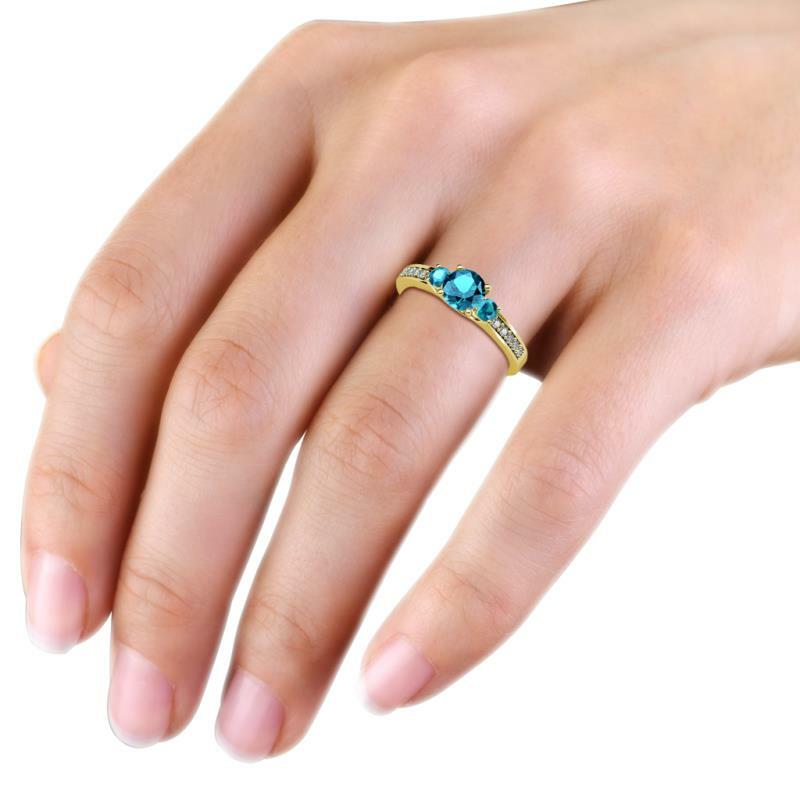 London Blue Topaz Three Stone with Side Diamond Ring Sweetly express how much she means to you with this Engagement Ring which signify your past present and future with Center London Blue Topaz and Side London Blue Topaz while 10 Round Diamond accent the sides making it a glistening gift of Love. Condition: $588 New In stock! Order now! 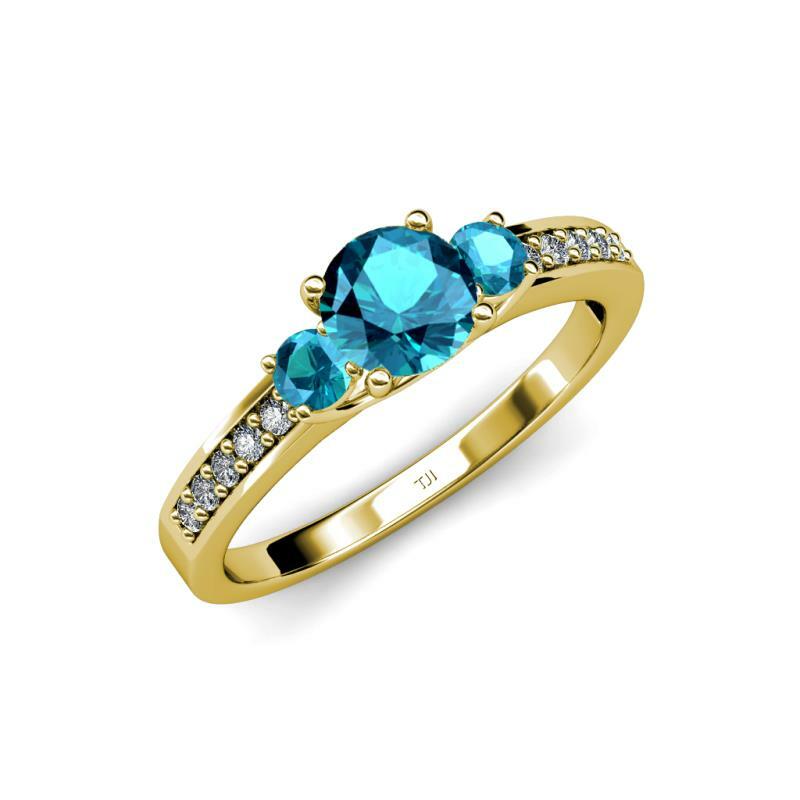 Order in 2:49 hrs to get it by 26th Apr 2019 with Overnight Delivery Learn More. Normal processing time for this item is 3 to 4 business days before it ships and it will ship via your chosen ship method after the processing time is complete. 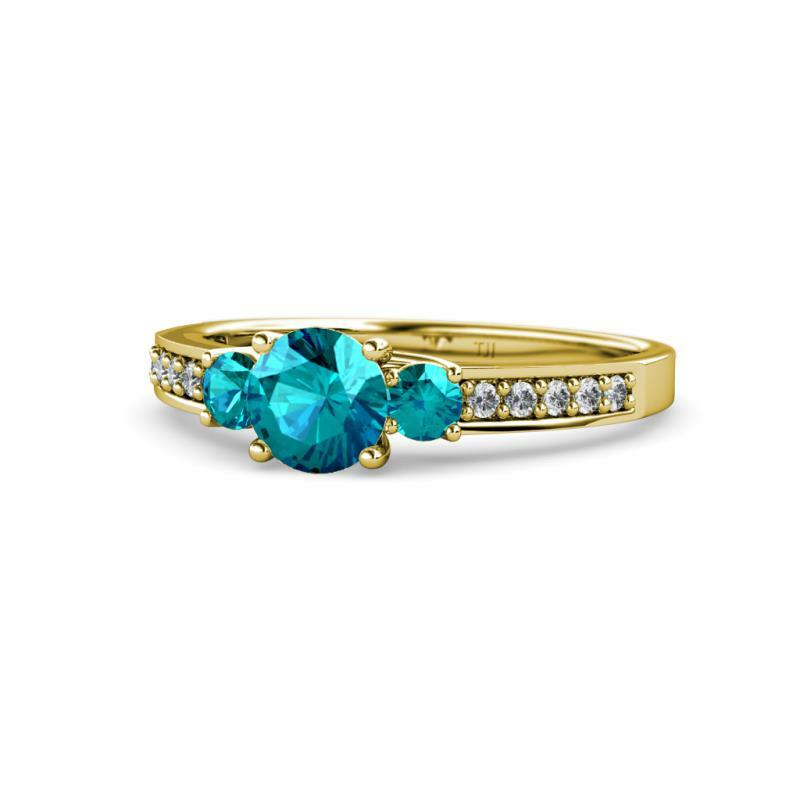 Sweetly express how much she means to you with this Engagement Ring which signify your past present and future with Center London Blue Topaz and Side London Blue Topaz while 10 Round Diamond accent the sides making it a glistening gift of Love. 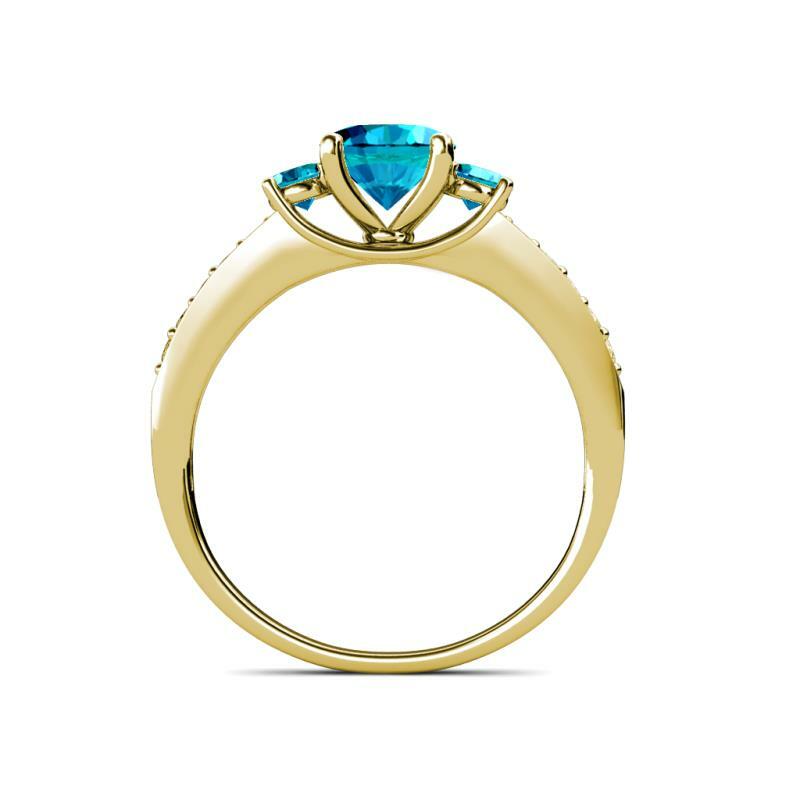 It has Center London Blue Topaz of 1.05 ct flanked with two dazzling London Blue Topaz of 0.34 cttw and small side Diamond of 0.15 cttw, total of 1.54 cttw. 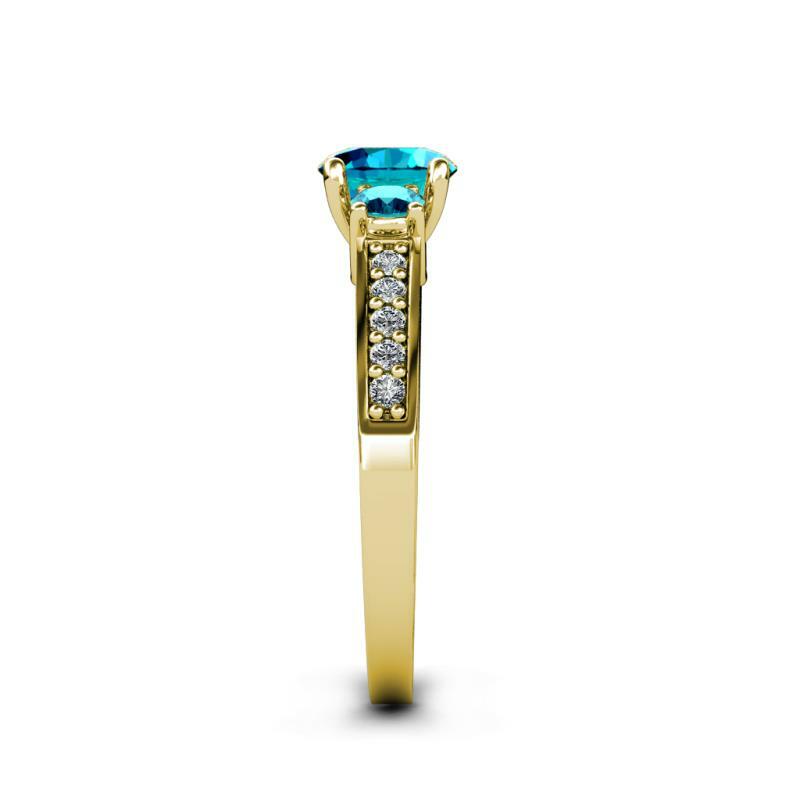 3 Round London Blue Topaz and 10 Round Diamond set using Prong Setting. 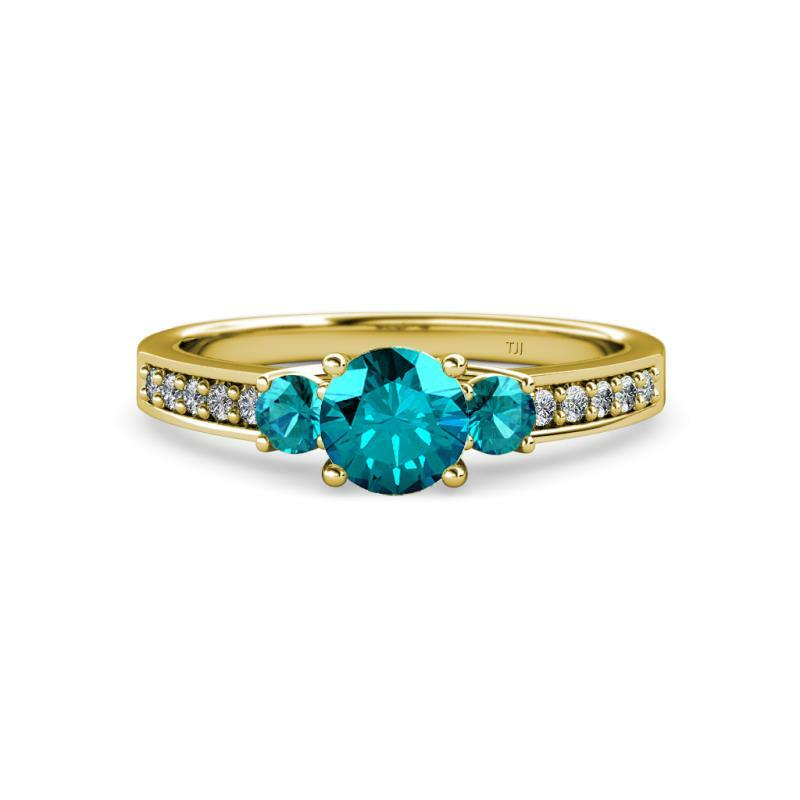 SI2-I1-Clarity, G-H-Color Diamond & SI1-SI2-Clarity, Teal Blue-Color London Blue Topaz.